Tony Awards Photos, News, and Videos | Just Jared Jr.
Melissa Benoist and her boyfriend Chris Wood make a picture perfect couple while walking the red carpet at the 2018 Tony Awards held at Radio City Music Hall on Sunday (June 10) in New York City. 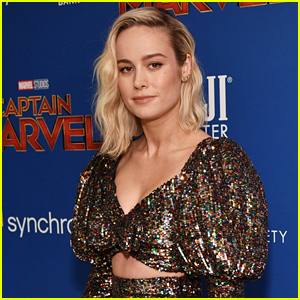 The 29-year-old actress was a presenter at the show and she brought Chris as her date. It marked their first time on the red carpet together! Melissa is currently making her Broadway debut in the musical Beautiful. She is starring as Carole King through August 4. FYI: Melissa is wearing a Dior dress and Dior Fine Jewelry earrings. Zoey Deutch Goes Glam for Tony Awards 2018! Zoey Deutch strikes a pose on the red carpet as she steps out for the 2018 Tony Awards at Radio City Music Hall on Sunday (June 10) in New York City. The 23-year-old actress went glam in a black and navy velvet gown as she stepped out for the awards show. Also stepping out for the awards show was fellow actress Tavi Gevinson – who hit the red carpet alongside Zac Posen. FYI: Tavi is wearing a Zac Posen dress. Zoey‘s dress is by Brock Collection. 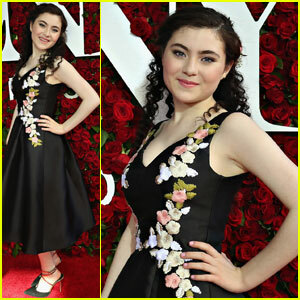 Lilla Crawford strikes a pose while arriving at the 2016 Tony Awards held at the Beacon Theatre on Sunday (June 12) in New York City. The 15-year-old actress actually starred alongside host James Corden when she played Little Red Riding Hood in the 2014 film adaptation of Into the Woods. Saoirse Ronan and Tavi Gevinson make their arrivals at the 2016 Tony Awards held at the Beacon Theatre on Sunday (June 12) in New York City. Both of the actresses are currently starring in Arthur Miller’s The Crucible on Broadway, which was nominated for Best Revival of a Play. Also in attendance were their co-stars Sophie Okonedo and Bill Camp (with wife Elizabeth Marvel), who were both nominated for their acting work. FYI: Saoirse is wearing a Stella McCartney dress. Sophie is wearing a Zac Posen dress. Darren Criss Hits Up the Tony Awards 2015 with Ashley Greene! Darren Criss is all suited up on the red carpet at the 2015 Tony Awards on Sunday evening (June 7) at Radio City Music Hall in New York City. The 28-year-old actor, who is currently starring on Broadway in Hedwig and the Angry Inch, was joined at the show by Ashley Greene! “Tonights gorgeous @jasonwu dress for the Tony’s ??????????? ?” Ashley wrote on her Twitter account. Ashley hit the red carpet with Jason Wu himself for the big event! The 2015 Tony Awards will be wrapping up in the next hour on CBS! Tune in for the last few awards. FYI: Ashley is wearing Jason Wu. Vanessa Hudgens Performs with 'Gigi' Cast at Tony Awards 2015 - Watch Now! Vanessa Hudgens throws her hands in the air while performing during the 2015 Tony Awards on Sunday evening (June 7) at Radio City Music Hall in New York City. 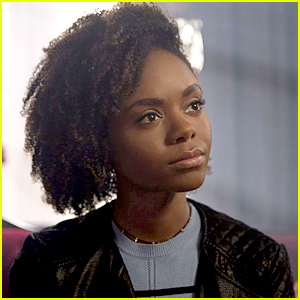 The 26-year-old actress sang “The Night They Invented Champagne” alongside her ensemble cast including Victoria Clarke and Corey Cott! Vanessa‘s BFF Ashley Tisdale introduced the performance on stage! Watch the performance below – and be sure to tune into the remainder of the 2015 Tony Awards, airing right now on CBS!